Description: Shell is up to 48cm long. 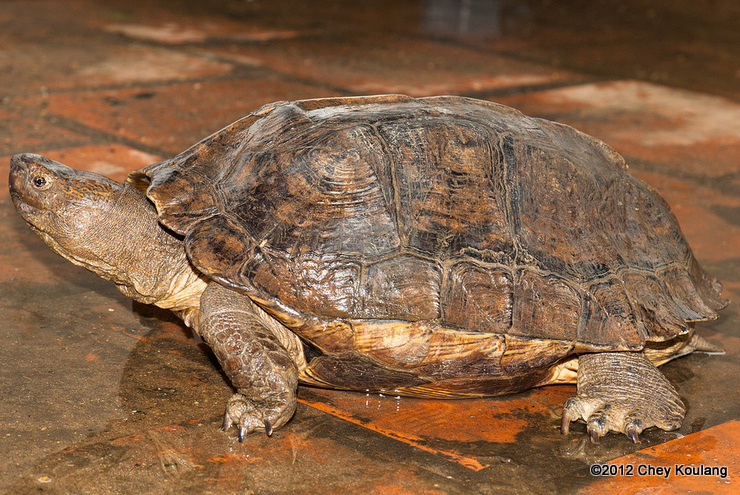 One of the largest freshwater turtles in Southeast Asia, weighing up to 12 kilograms. 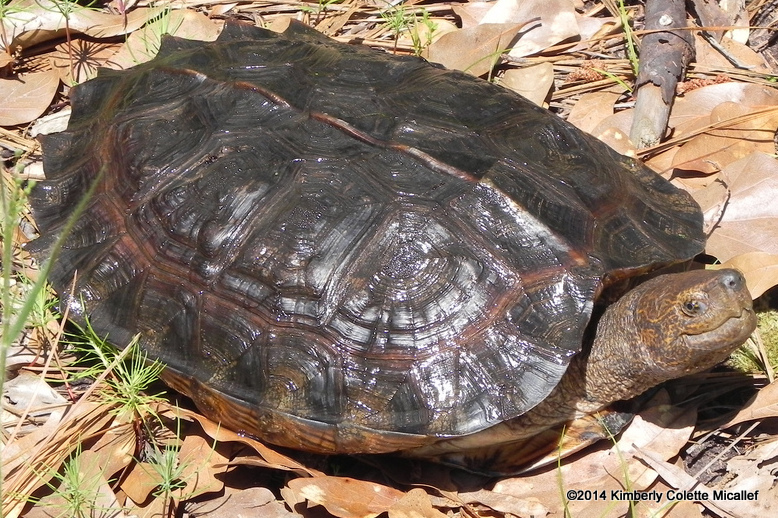 Shell is large and of medium height with a light brown keel going down the center and serrated edges along the back. 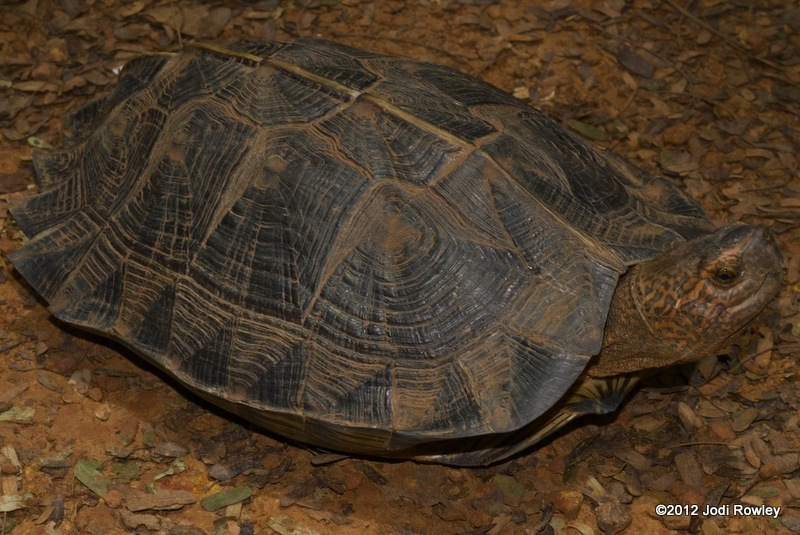 Shell coloration is brown to black. Bottom of shell is yellow with black blotching and black lines radiating out from the blotches. Head is thick and colored grayish-green to brown with a network of orange markings and cream jaws. Feet are large and toes are webbed. 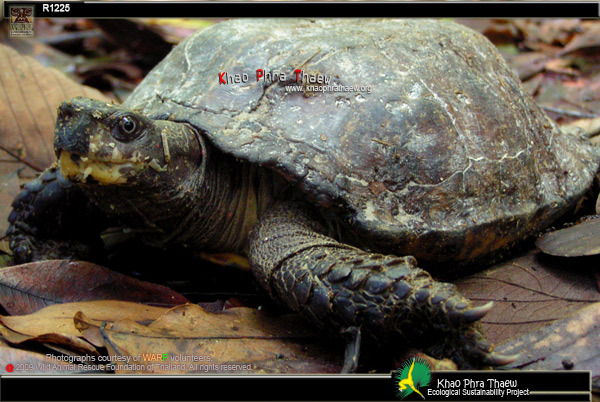 Similar Species: Yellow-headed Temple Turtle has yellow markings on the head rather than orange and adults lack the keel on the shell. 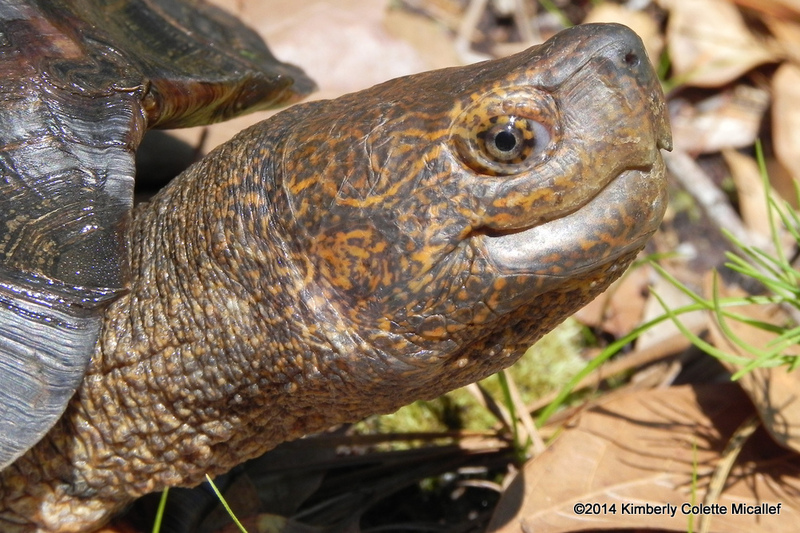 Habitat: Found in stagnant or slow-moving streams, rivers, lakes, swamps, and marshes. Leaves the water to forage from the surrounding land, often hiding under low vegetation. Contribution to the ecosystem: Primarily eats plant matter, but also helps control aquatic insect, worm, and mollusk populations. Also eats fruit on land. 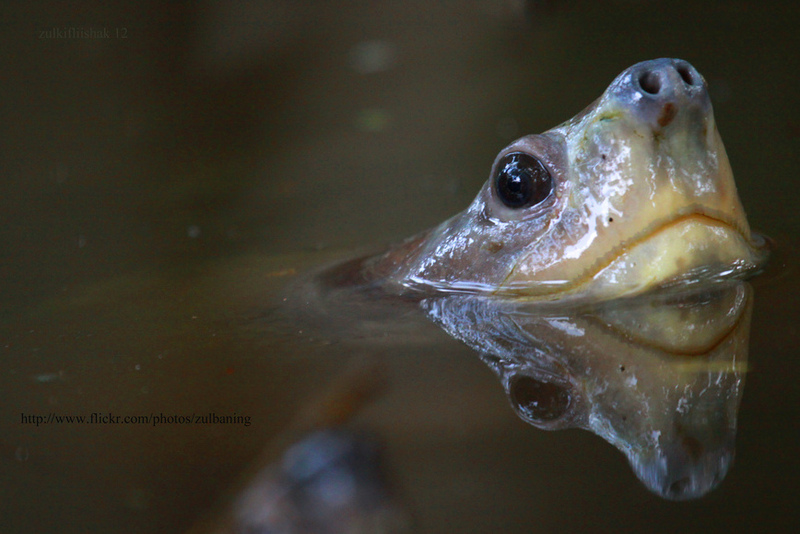 Young Giant Asian Pond Turtles provide food for monitors and wading birds. Danger to humans: Is not dangerous to humans. 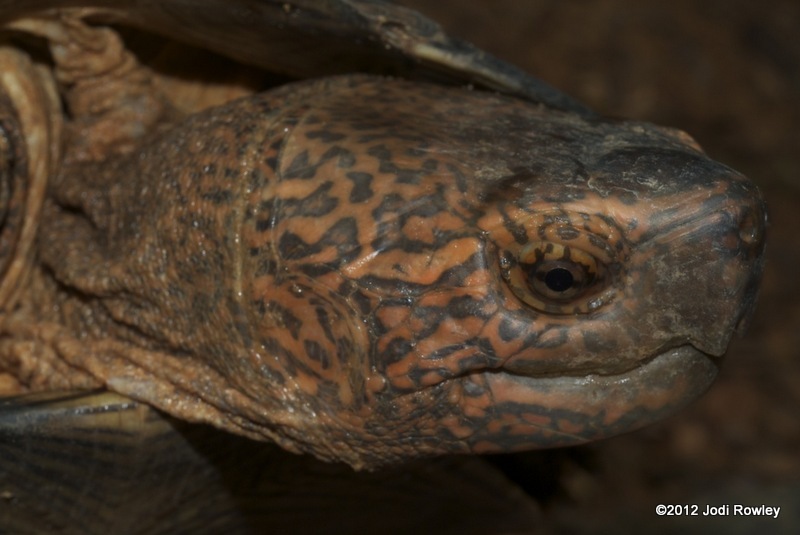 Conservation status and threats: The Giant Asian Pond Turtle is hunted for its meat and for traditional Chinese medicine. It also faces habitat loss due to pollution and the draining of wetlands. It is considered vulnerable across its entire range by the IUCN Red List and is listed on CITES Appendix II. Interesting facts: Giant Asian Pond Turtles can sometimes be seen in the ponds of Buddhist temples, along with many other turtle species. One reason for this is the practice of “merit release”, where turtles and other animals are released into the wild in order to “make merit”. 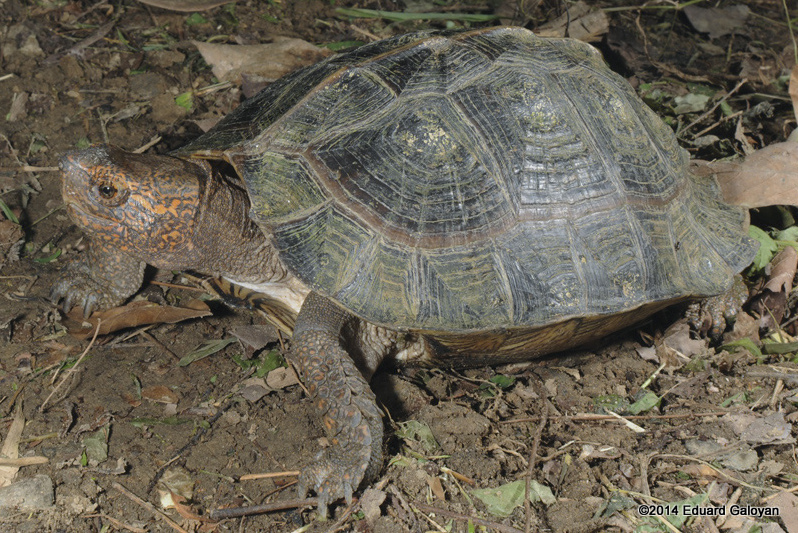 Most of these turtles are part of the illegal wildlife trade. 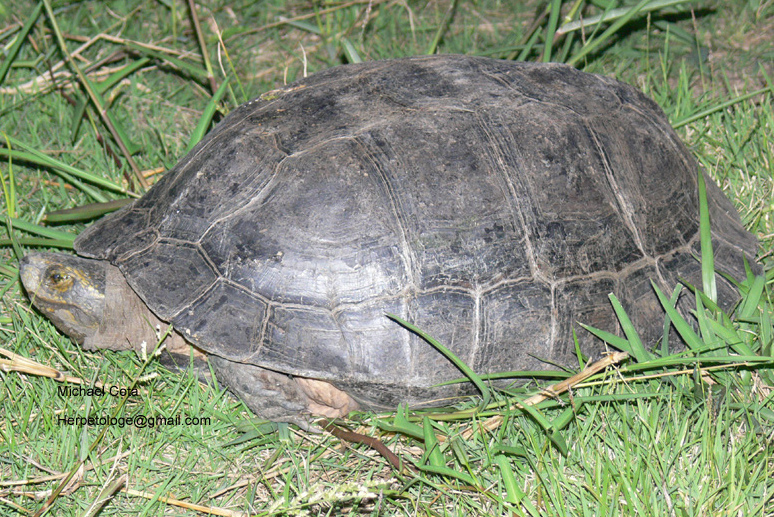 Sadly, many such turtles are released into inappropriate or overcrowded habitats (such as decorative park and temple ponds) and end up dying after a long period of starvation or overcompetition. Other released turtles spread diseases that they caught in captivity into wild populations, thereby killing many more turtles. More information on turtle release and merit-making can be found at the Buddhist Merit-making Turtle Release Checklist.